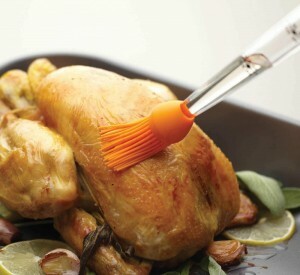 This clever multi-functional 4 in 1 baster features a silicone brush head with fully flexible bristles to easily coat your chicken with juices and without leaving any hair bristles. The silicone basting bulb allows you to draw up the juices and the flavour injector nozzle makes it easy to baste it directly into the meat. The baster also comes complete with a nylon cleaning brush. Completely safe for use on non-stick surfaces it is stain resistant, as well as heat resistant to 260°C/500°F . 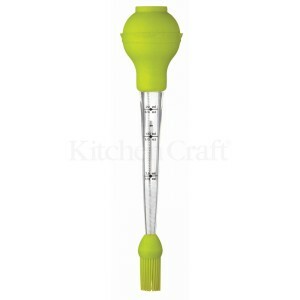 This tool will efficiently baste your meat with the brush or inject juices directly into the meat without fuss or mess. Click HERE to purchase from our online store houseofpresentation.com . This entry was posted in Kitchen Craft, News Letter, Promotion by ramesh. Bookmark the permalink.